Element Fencing is a family owned, local fence company that specializes in residential and commercial cedar fence, decks, ornamental iron, and outdoor rooms (eco sheds). 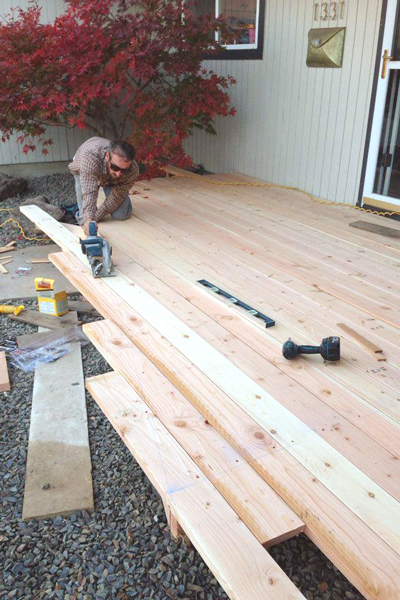 The crews at Element Fencing have been building fences and decks in Boise for 15 years and treat each job as though it was for ourselves. We warranty everything we build and we take great pride in our relationships with our customers. We routinely see the return of our hard work and care in that the majority of our business comes by word of mouth. With all of our experience, Element Fencing has built a strong reputation for excellence as a top-rated fencing contractor. Skilled workmanship and exceptional customer service is demonstrated with every installation. Our expert team of installers has been with Element Fencing for years. The owner, Brady, will work with you to build your project from the ground up—selecting the right design and materials to meet your needs.